Sorry, there are only 189 tickets of that type still available. Sorry, there are only 189 tickets left for this event. "Recent Developments, Opportunities, and Challenges for Entrepreneurs in India: An Investor’s Perspective"
Dr. Ashish Gupta is a co-founder of Helion Ventures investing in India. 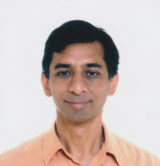 He serves on the boards of InfoEdge, Drishti, Pubmatic, Qwikcilver, and SMSGupshup. He has co-founded two successful companies – Tavant Technologies and Junglee (AMZN). He also worked at Woodside Fund, Oracle Corporation and IBM research. Some of his prior investments are Daksh (IBM), Mu Sigma, Odesk(UPWK), Flipkart, MakeMyTrip and redBus (MIH). Ashish is a Kauffman Fellow, holds a Ph.D. in Computer Science from Stanford University, and a Bachelor’s degree from Indian Institute of Technology Kanpur where he was awarded the President’s Gold medal. He has authored several patents, publications, and a book by MIT press. Please check parking signs carefully to ensure that permitted parking and metered spaces are free after 4:00 pm. The US-Asia Technology Management Center, or US-ATMC, is an education and research center located at Stanford University. US-ATMC education and research programs about innovation and emerging business trends provide Stanford students in technical fields, and the Silicon Valley community at large, with knowledge and analytical capabilities that will be important to global success in high-tech fields in the Twenty-First Century.